Missoula County commissioners on Wednesday began looking at the feasibility of reinstating the Fair Event Committee, saying the panel of volunteers could help improve planning the Western Montana Fair. Commissioners spent the morning working through a draft resolution to establish the seven-member panel, which would be charged with representing citizen interests in planning events and activities around the annual fair. While commissioners agreed on the advantages of bringing the committee back, they initially disagreed on the number of committee members. They settled on seven, with one member also sitting on the MCFAC board. Over the past few years, MCFAC has been charged with creating a master plan to guide future redevelopment of the fairgrounds. That plan, which is nearing its final phase, currently envisions an expanded Glacier Ice Rink, a parking garage, a multi-purpose center and a rodeo arena, among other things. 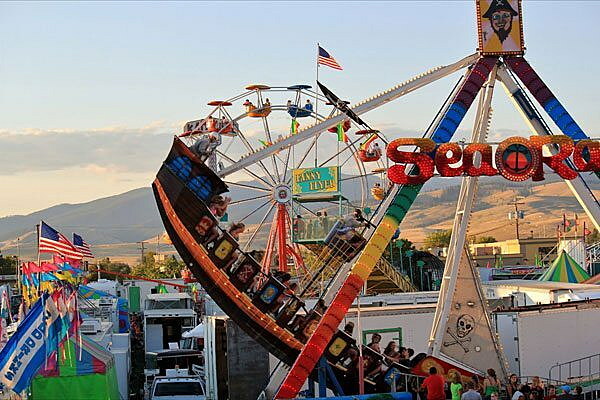 But Lounsbury said the county will be seeking a new rodeo and carnival contract this year as efforts turn back to boosting attendance at the actual Western Montana Fair. The annual event has struggled in recent years, though proponents believe reinstating the Fair Event Committee will help create a stronger event. “It’ll be great having extra eyes looking at that and extra input from the community as we’re making recommendations to the commissioners,” said Lounsbury. According to the draft resolution, the committee would provide input on all activities associated with the Western Montana Fair. Members would also address the fair’s rodeo, the carnival, concessions and livestock events. It would also provide support to fairgrounds director Todd Garrett during the week of the August fair. He said Wednesday the grounds were improving, though he could use help planning the fair.